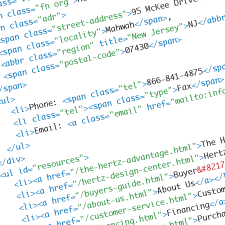 I am an experienced web designer living in Northern New Jersey, just miles from Montclair and Morristown. Email me for more info. Email me to request a résumé or references. 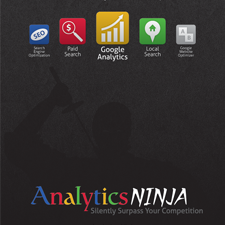 Yehoshua Coren, an analytics and search engine marketing consultant, recently founded Analytics Ninja, LLC. To help present his services to a larger audience, he asked me to design and build a professional identity and web presence for his new company. There was a need for both a strong, memorable visual identity and an easy-to-maintain website with integrated blogging functionality. 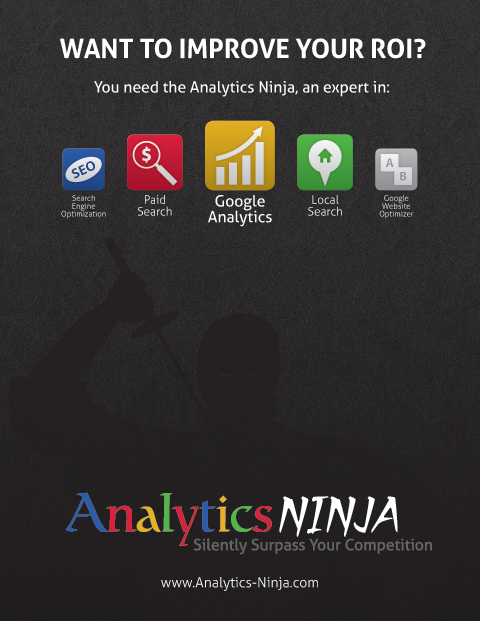 Analytics Ninja needed a visual identity that was fun, but also able to confidently convey the company’s expertise and experience. To meet these goals, I worked cooperatively with the client to deliver an identity with rich typography, a strong color scheme, and a fitting mood. 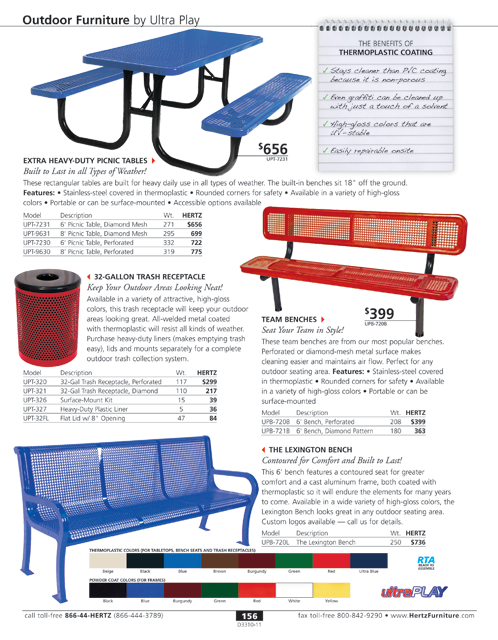 In addition to a full identity package, I designed a full-page magazine ad to formally launch the company’s new image. 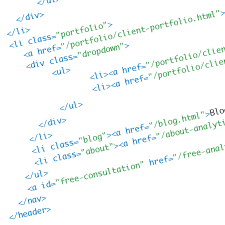 To present the client with a modern website, I turned to the most state-of-the-art web standards available. 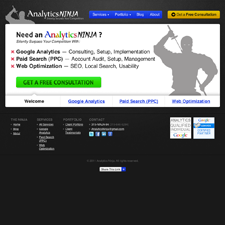 HTML5 was leveraged to deliver lightweight, semantic content. CSS3 opened the door to unique visual flourishes. jQuery-powered scripts enabled the development of robust interactive features. And of course backward-compatibility was never overlooked; the site displays beautifully in modern browsers and degrades gracefully when necessary. 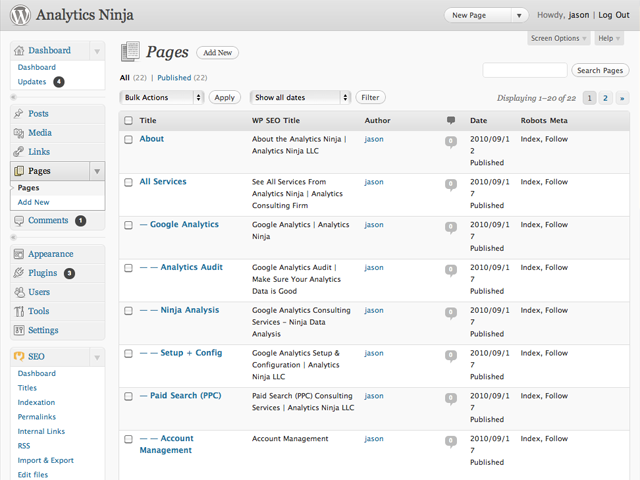 One of the goals of the Analytics Ninja website was an easy way to post new blog entries and update site content. To make this happen, I leveraged WordPress to build a deeply-integrated custom theme that allows the client to complete all content management system and blogging tasks using a single interface. The environment has proven to flexible and straightforward. 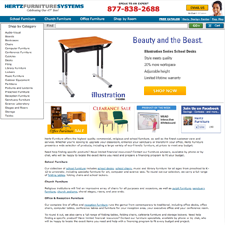 As Hertz Furniture recognized the growing importance of leveraging the internet to do business in the school furniture industry, the company began planning the next version of their large and powerful ecommerce site, HertzFurniture.com. 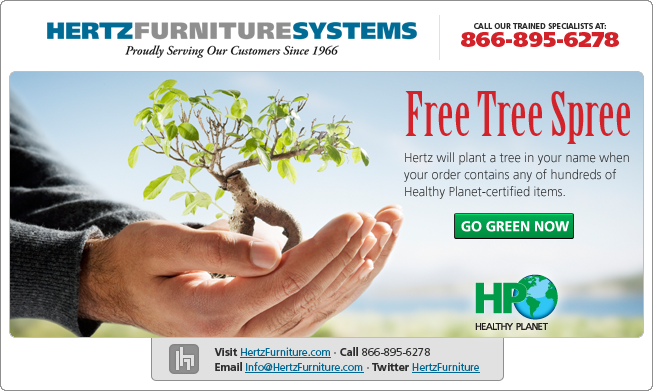 With forty-five years of company history, Hertz Furniture has a well-established visual identity in both print and web. As the Art Director overseeing all media types I was able to maintain that visual identity and keep it consistent between the company’s website, catalog, advertising, and more. 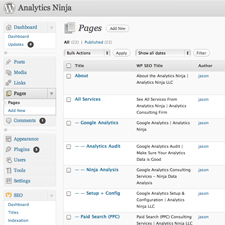 New user interfaces were designed for all site features. These interfaces have proven to be very easy to use thanks to their design emphasis on minimalism and the reduction of visual clutter. I met with Hertz Furniture’s director of online marketing on a very frequent basis to discuss possible design approaches and technical implementation techniques for many of the initiatives the Online Marketing department planned, including inventive new features valuable to both users and search engines. 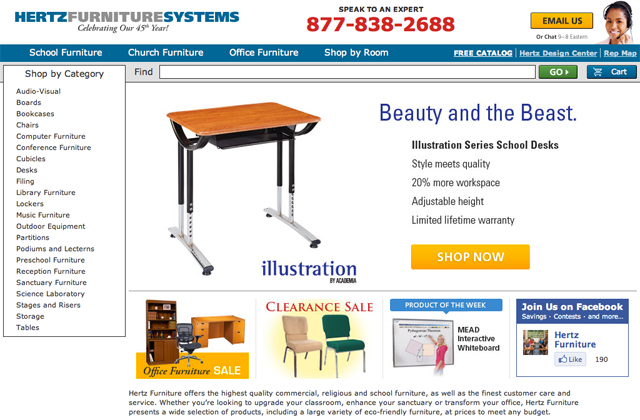 Through my close work with the director of online marketing, the company has seen huge improvements in their search engine ranking, including first-page results on Google for many of the most valuable search terms in the school furniture industry. 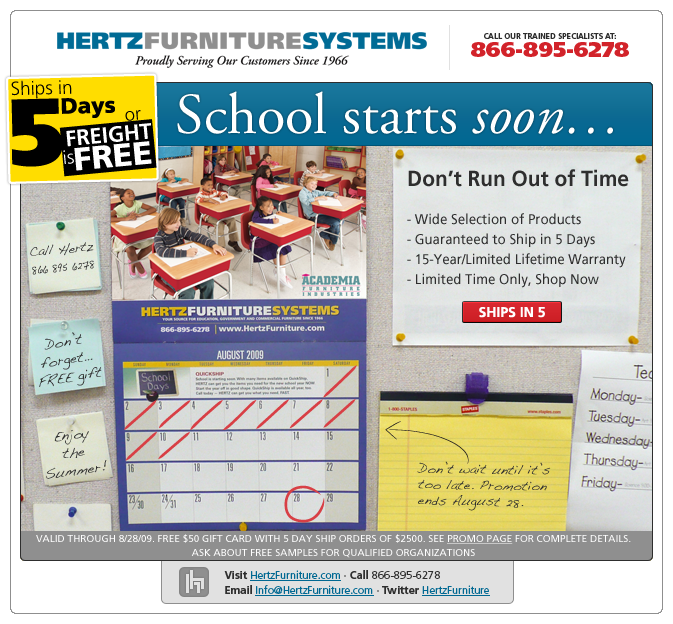 As part of Hertz Furniture’s shift in focus from print catalogs to ecommerce, it was realized that a similar change could be beneficial to the company’s marketing efforts. 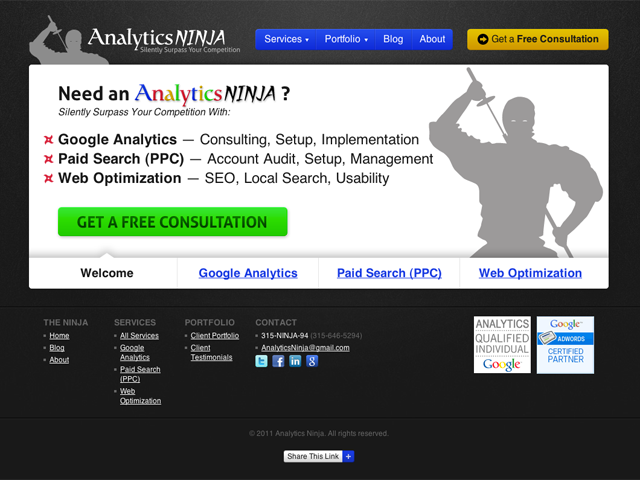 In mid-2008, the company began an email marketing initiative to help promote the company and its products. Today, these marketing emails are designed and delivered at a rate of up to four emails per week to a list of over 30,000 addresses across 21 market segments. Under direction, the art department was able to create a very large number of marketing emails that each worked in their own right while never alienating the style of the campaign as a whole. All emails are hand-coded and thoroughly tested to ensure proper delivery to the full spectrum of email providers, email clients, and rendering engines. The email template I created is flexible enough to house a large variety of content of varying complexities while remaining consistently recognizable. The flexible email template I created has proven valuable in creating future emails at a rate fast enough to sustain the industrious speed of the ongoing marketing campaign — up to four emails per week. 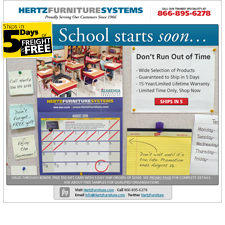 Hertz Furniture’s nationwide sales team is a key component of the company. 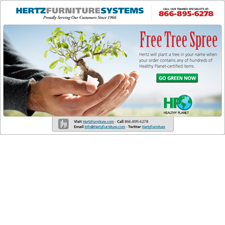 Because of the company’s strong offline presence, high quality printed materials are crucial to Hertz Furniture’s success. 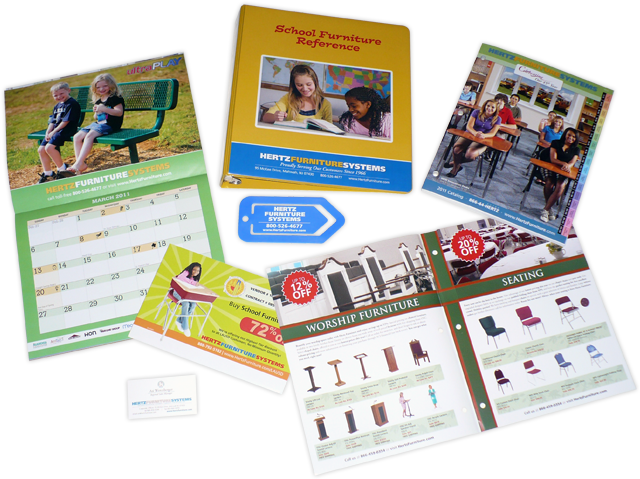 During my time working as Hertz Furniture’s Art Director, I supervised and completed a very large number of print projects, including flyers, brochures, large-format banners, signage, binders, business cards, product catalogs, stickers, stationery, and more. 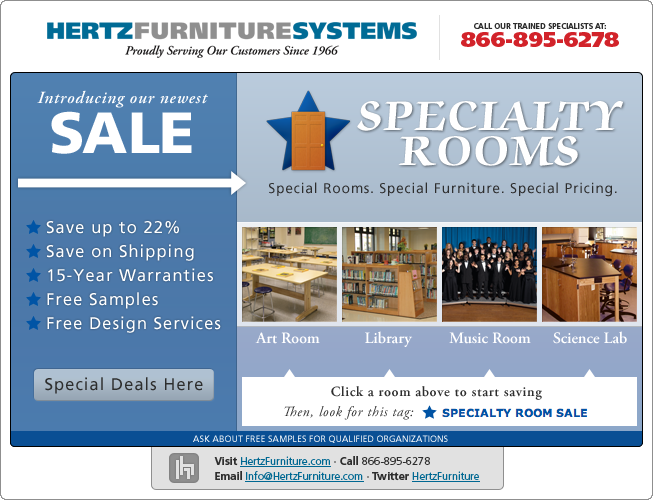 Under my management, Hertz Furniture’s art department has reached unprecedented levels of efficiency. 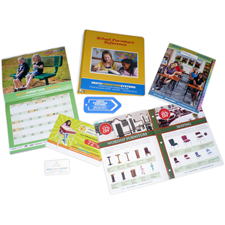 I hired, trained, and managed several designers to work under my direction, resulting in printed materials of the highest quality. 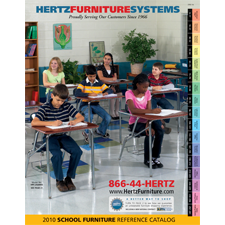 Because of the prominence and importance of Hertz Furniture’s print catalogs and website, I ensured that all work I created and supervised remained visually strong and consistent across both media types. By carefully and effectively managing my department’s designers, I was responsible for the production of multiple product catalogs. 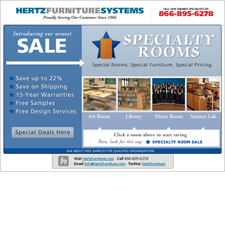 The catalogs I produced are valuable selling tools for Hertz Furniture’s sales representatives. 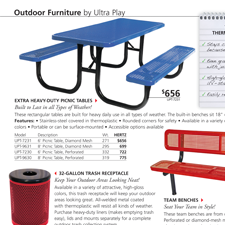 At nearly 300 pages in length, an extremely wide range of the company’s products and services are on display in the catalogs. 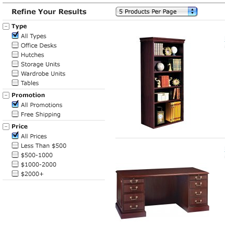 Close teamwork with the merchandising department led to accurate pricing and information across every page. 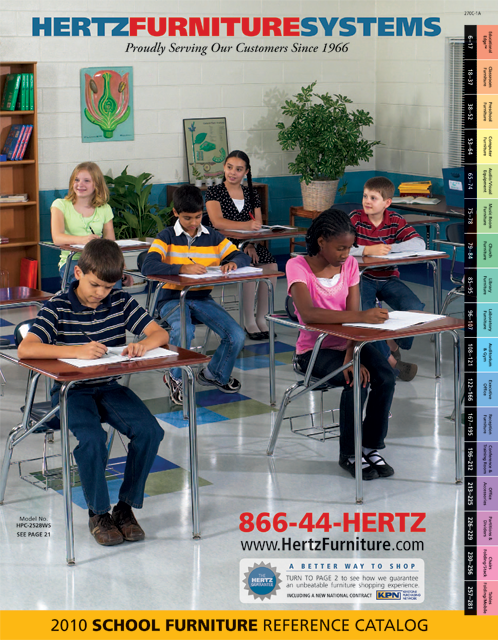 Hertz Furniture’s catalogs are the company’s most valuable print asset. On top of this, however, the art department has been able to produce a very large array of supporting print materials under my direction. 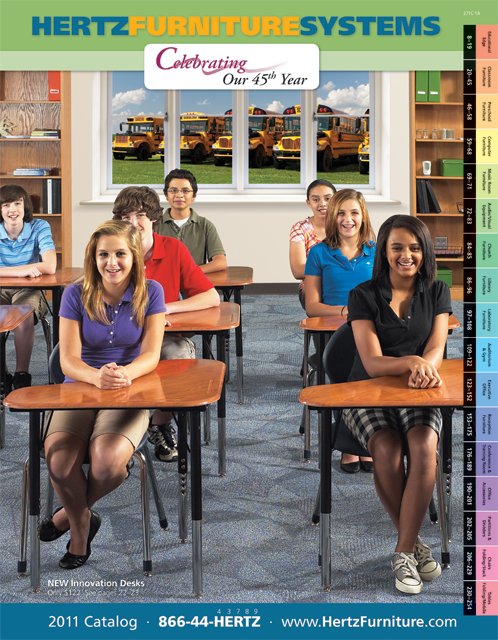 Flyers, brochures, magazine ads, large-format banners, signage, binders, business cards, stickers, stationery, direct mail campaign pieces, business forms, calendars, and more — all were typical projects for the art department under my leadership. 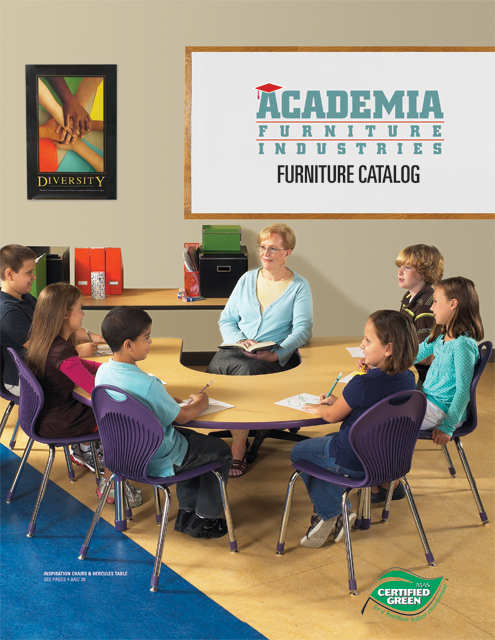 Academia Furniture Industries is a leading supplier of educational furniture for the K-12 market with manufacturing plants and warehouses in both New Jersey and California. 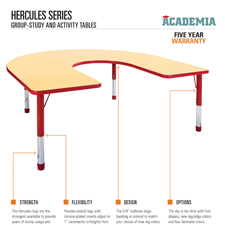 As Academia’s customer base began to grow, the need for proper product catalogs quickly developed. 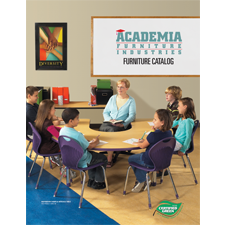 I have been responsible for the design and art direction of these product catalogs, which compile product photography, information, model numbers, and specifications for Academia’s wide line of educational furniture. As Art Director, I’ve overseen page layouts, photography, and image retouching for multiple Academia catalogs, each with over forty pages of important information and photography. 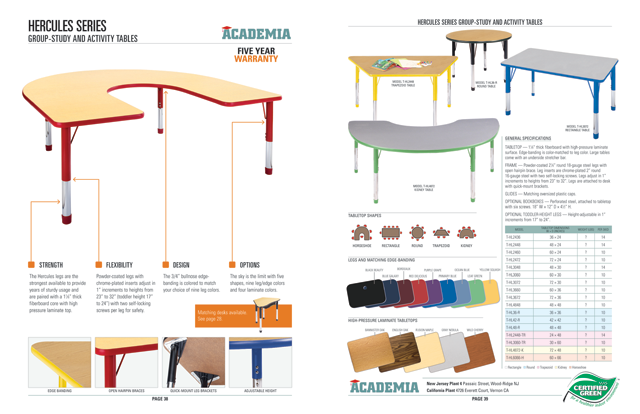 The time between product design and product availability can often be quite short, so it has been critical that new catalogs are produced efficiently and accurately. I’ve worked closely with the company to ensure that time and quality requirements are met. In 2005, I was contacted by the Mount Olive School District. 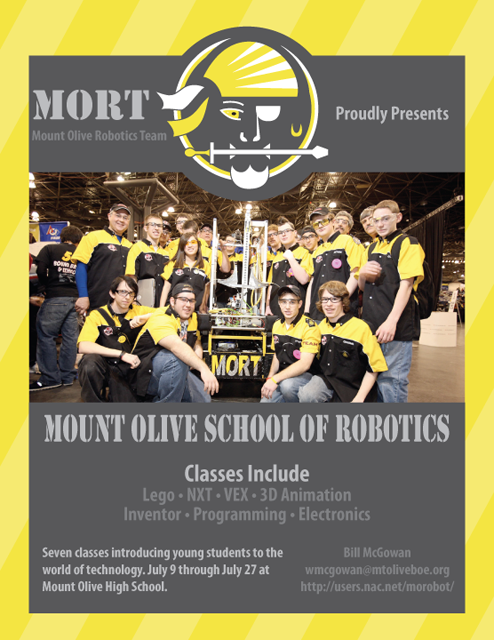 I was asked to instruct graphic arts classes to students interested in technology as part of the Mount Olive Robotics Team (MORT). 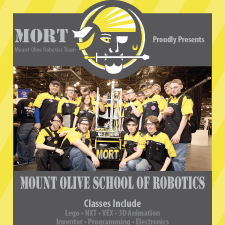 As a way of promoting these classes to the school district, I created a flyer advertising the classes being offered. I built close relationships with the team and students, and was thus able to deliver a design that perfectly matched the mood and colors of the program. I taught daily graphic arts classes to a team of high school students. Over the course of about three months, I instructed the students in the areas of design principles, animation software, project management, and the production cycle. The classes were such a success that it was later decided to begin offering new classes for students in elementary and middle schools. 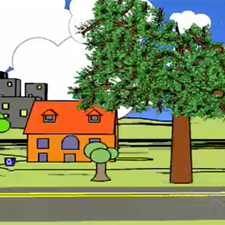 Using the knowledge and skills I had taught, my students independently created an animation about technology’s responsibility to the environment. I’ve worked with clients around the world, delivering beautifully-designed websites that have been hand-coded using modern standards like HTML5, CSS3, and jQuery. In addition to web design, I have years of experience in print design and art direction. Outside of design, I have an interest in film, which I’ll occasionally ramble about on my Tumblr blog. Want to know more? Become my friend on Facebook or follow me on Twitter. © 2011 Jason Hodulik. All rights reserved.